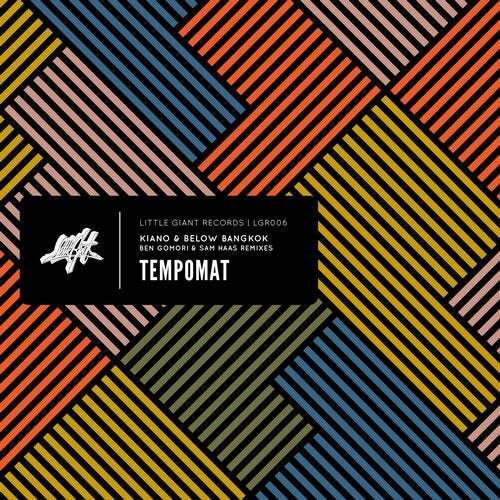 Little Giant Records presents its sixth release Tempomat, produced by Kiano & Below Bangkok. The remixes are brought to you by Monologues label boss Ben Gomori and San Francisco based Little Giant core artist Sam Haas. Kiano & Below Bangkok brings us back to an era where house was happier and funkier with this two-track release. The title track - 'Tempomat' – a pitched-down masterpiece – is laced with vocals, pads and percussion that are well suited for an opening or sunrise set. Dynobeat is O.G. deep house with vocal and piano samples that build to a pumpy little groove that's reminiscent of an opening track at an underground basement party. London's Ben Gomori offers an up-tempo rework that's bright and energized (think open-air in sunny Spain). With hints of acid and punchy synth/string lines peppered throughout, this remix reminds us of a sunny rave circa 2000, and that's a good thing. San Francisco's Sam Haas - a regular contributor to the label - delivers a broken beat, jazz-tinged remix for Dynobeat. We're digging the lo-fi bass line and throw-back west coast house sound on this beauty. Kiano & Below Bangkok is a sibling duo based out of the North Adriatic region. Between the two of them, they've chalked up more than 30 years of experience DJing, making music and collecting vinyl - playing house music in a variety of styles/moods - even techno if the floor demands it. Their philosophy is simple; if the music is good, they'll play it, no matter what the genre. With an affinity for long sets, these brothers never shy away from an all-nighter and have appeared throughout Europe at clubs, bars, festivals, parks, boats and after-hours. They've released over 100 EPs and remixes, appearing on Baile, Ready Mix Records, DeepStitched, Back and Forth and more to come.